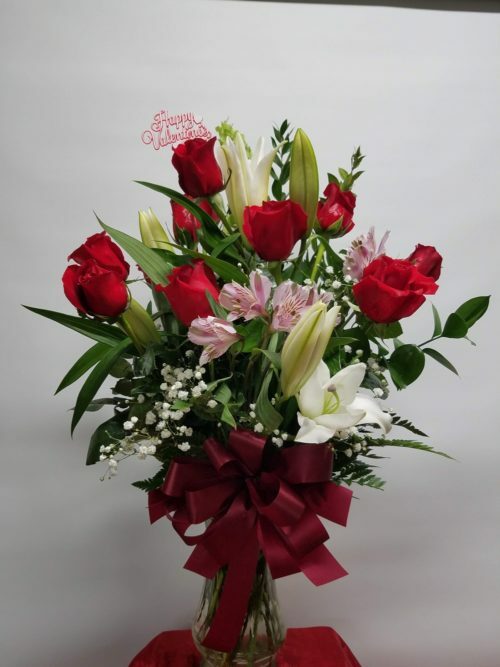 Colonial Flowers is a cornerstone among florists in Russellville, Arkansas specializing in quality and service and proudly serving the entire Arkansas River Valley for over 75 years. We have always been family owned and operated and consider the customer to be part of our family. 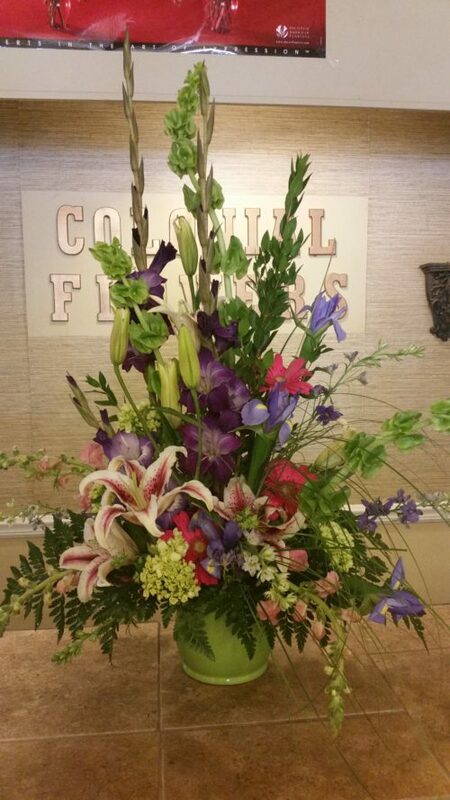 Our staff has over 137 years of combined experience and boasts the areas only European master florist. Stop by today or give us a call at 479-968-1572. Allow us to show you that quality and service really do make the difference! We carry the freshest flowers anywhere in the River Valley. Our experienced, creative designers will design the perfect arrangement for you. Be sure to browse our photo albums. These are just a few of the many pieces we can design for you! All photos are actual photos of the pieces designed by Colonial Flowers. 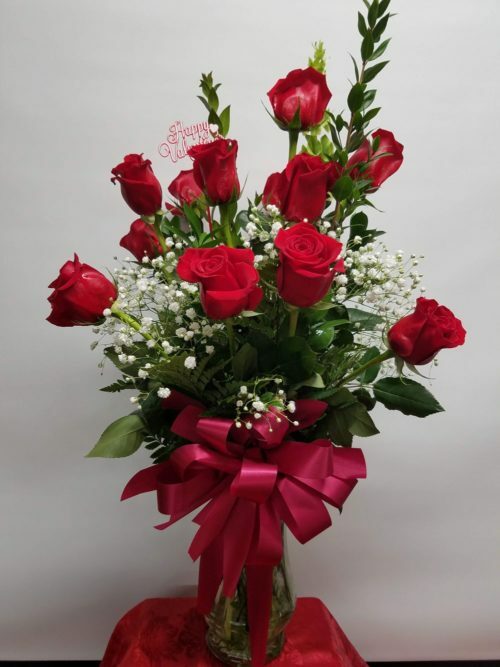 We carry a full assortment of flowers, plants, and products including: roses, large inventory of fresh flowers, flourishing plants, snack baskets for all occasions, tropical flowers by special order, contemporary and traditional arrangements, as well as a full assortment of baskets and vases. 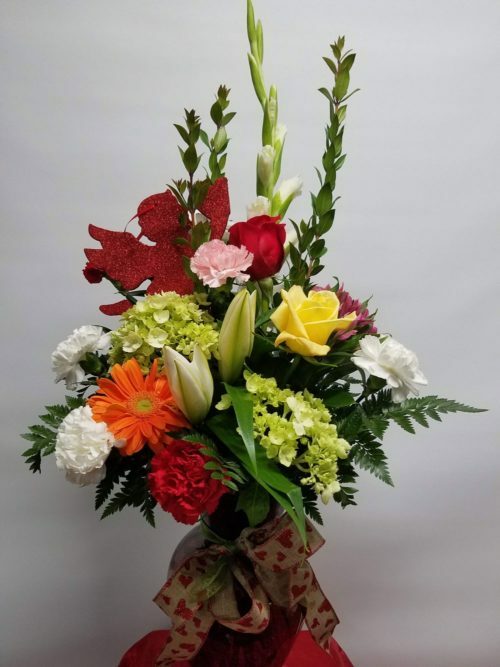 Allow us to custom design your silk arrangement. 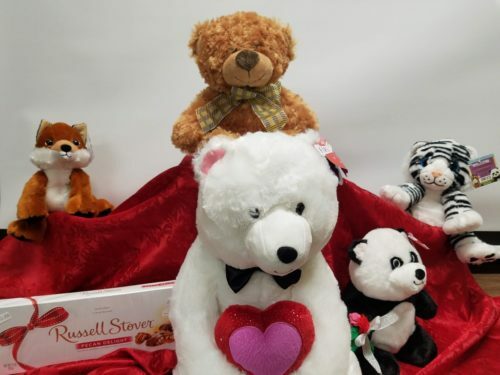 We can also help with weddings, funeral designs, balloon bouquets, plush animals, and baby arrangements. 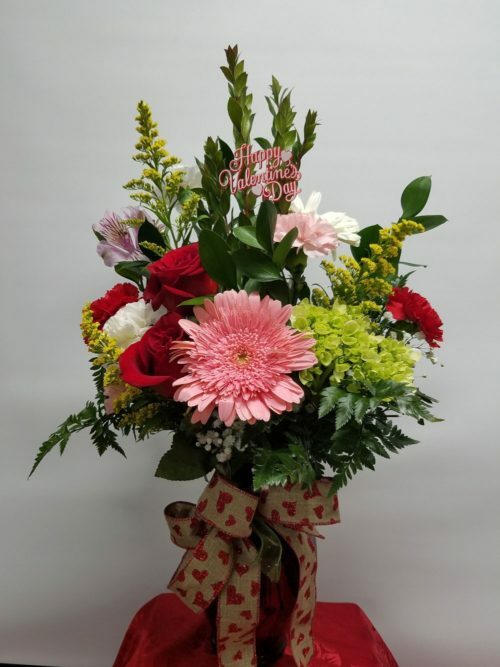 Come see our selection of flowers and gifts today! 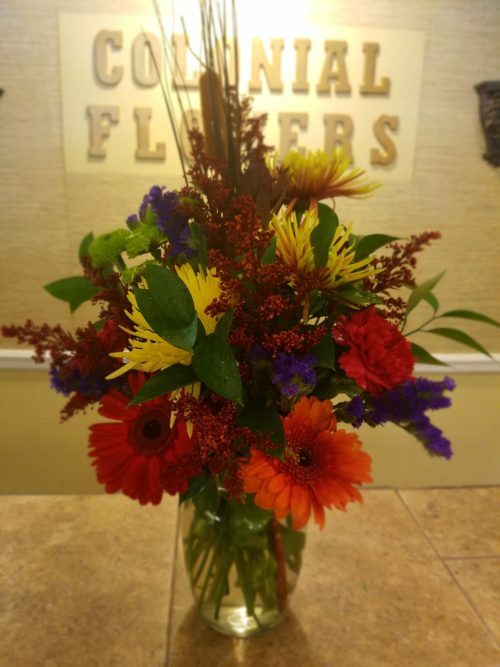 We provide beautiful fresh flowers for all occasions. No job is too big or too small. We will deliver and set up your arrangements with extreme care. We are the flower experts. We stand behind our flowers with a 100% satisfaction guarantee. Of course, you are welcome to purchase individual flowers or bouquets for any occasion. Treat yourself to flowers today, give a thoughtful gift, or make any occasion special. We are committed to delivering your important sentiments on time, as fresh and beautiful as possible. Because of the nature, seasonality, and regional availability of flowers it is sometimes necessary to make substitutions of equal or greater value. 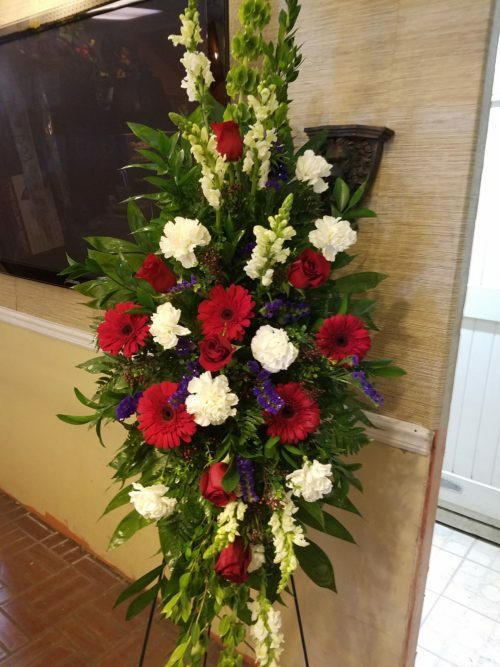 We will make every effort to maintain the “look and feel” of the arrangement by considering the overall shape, size, style, and color combinations. Delivery Times: We are unable to guarantee delivery at a specific time, but we are normally able to deliver within four hours on orders. In the event that no one is available at time of delivery, a call-back tag will be left on the door. 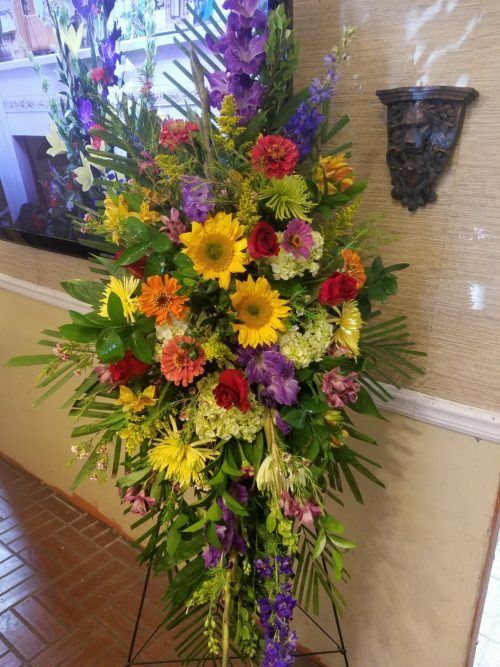 We deliver to the following funeral homes: Shinn Funeral Service, Humphrey Funeral Service, Lemley Funeral Service, Cornwell Funeral Service and Broussard Funeral Service. We delivery to the following residential & commercial areas: Dardanelle, Atkins, Pottsville, Dover and London. *Delivery charge varies. 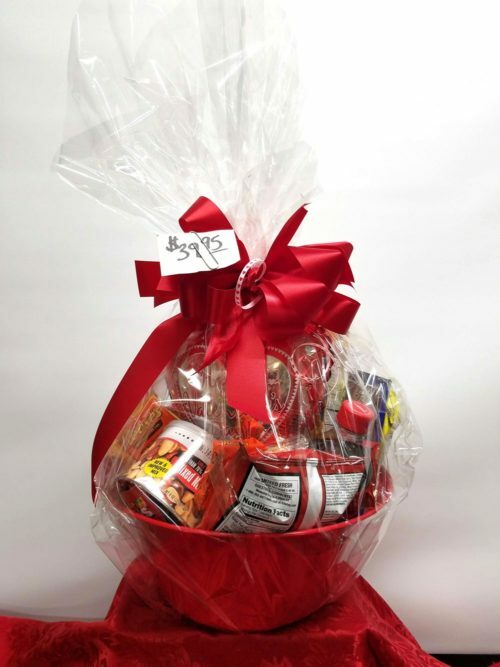 We also deliver to the following places: Russellville Nursing & Rehab Center, Legacy Lodge Nursing Center, Stella Manor Nursing Center, Atkins Nursing & Rehab Center, Dardanelle Nursing & Rehab Center, Emeritus Retirement Center, Inglewood Manor and Friendship Community Care. Please call us to inquire on deliveries to schools and places of business such as commercial plants as some places have special protocols for deliveries.